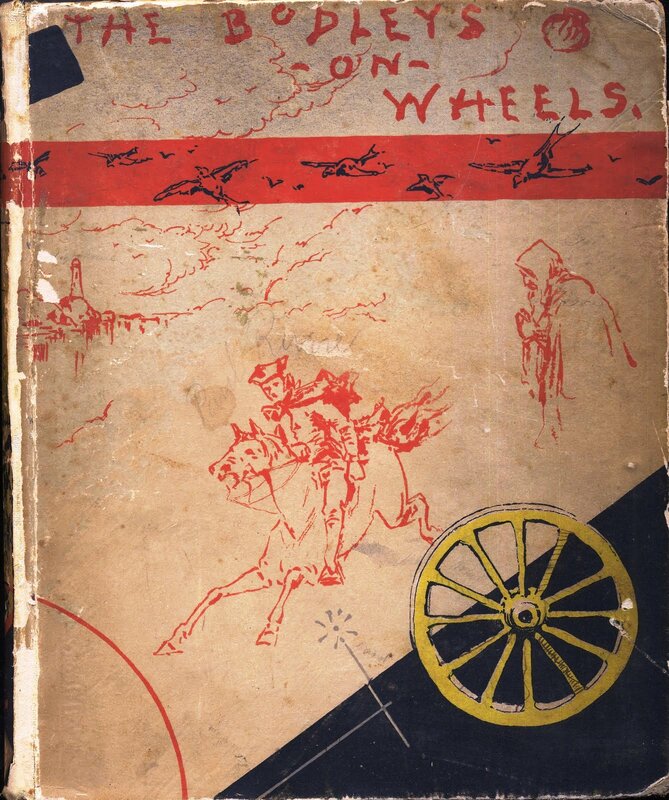 I picked up a nineteenth-century children’s book at a flea market a couple of weeks ago entitled The Bodleys on Wheels by Horace E. Scudder. It had a neat cover, and as some of my previous posts have indicated, I like Victorian illustrations. Actually, the cover of this book looks much more modern, but it was in fact published in 1879. Between the covers the pictures were pretty standard, but the story was charming, and as there was a chapter on Salem I snatched it up. 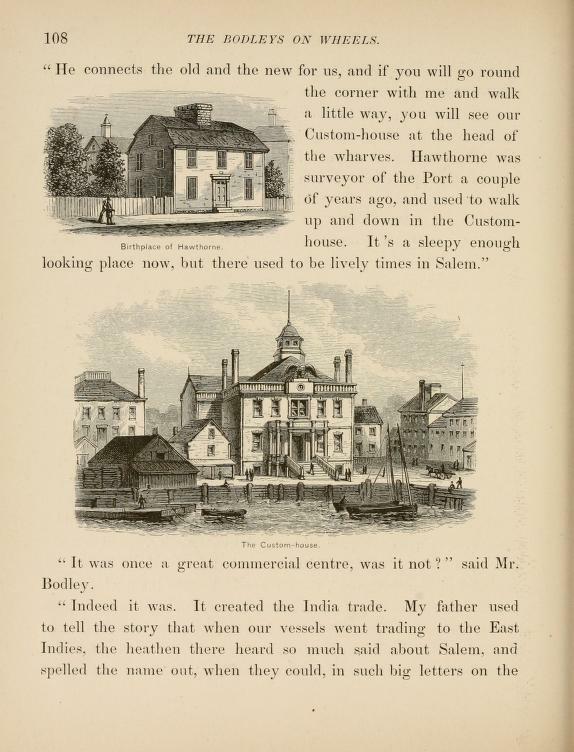 Apparently there is a whole series of Bodley books, published in the 1870s and 188os, narrating the travels of the Bodley family of Boston: Mr. and Mrs. Bodley and their three children, Nathan, Philippa and Lucy. Sometimes college-age Cousin Ned comes along. The Bodleys on Wheels traces the family’s travels through the old towns of Essex County, north of Boston, including Salem. 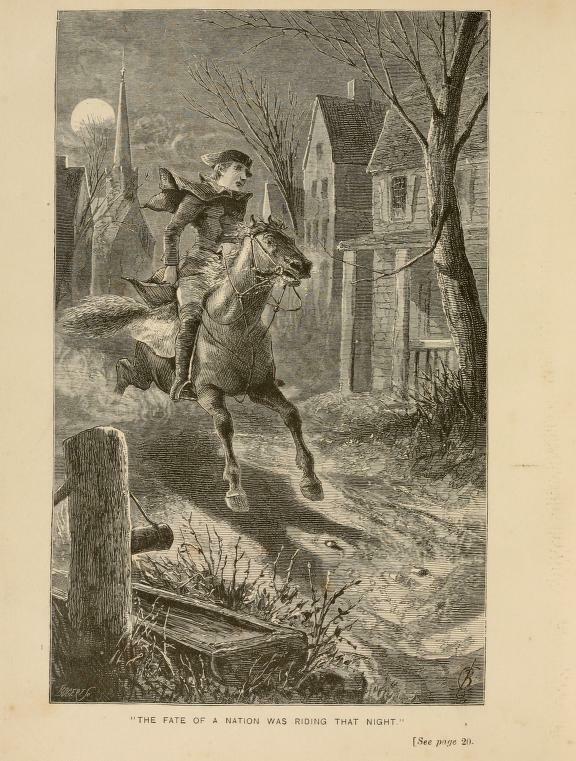 The book opens with the family’s traditional New Year’s Eve custom, a collective recitation of Paul Revere’s Ride, and this sets the tone for the rest of the story. 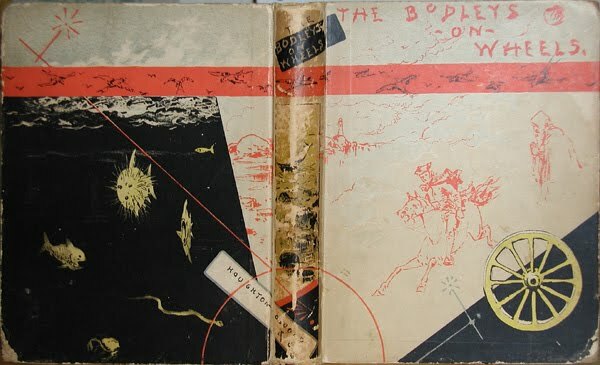 The Bodley children know the real and poetical stories of Paul Revere well. As spring approaches, Mr. and Mrs. Bodley inform the children that the destination for this year’s road trip will be the North Shore, and much excitement and preparation ensues: studying, drawing and coloring maps, preparing itineraries. Phillipa occasionally rides around the Boston brownstone on a broom in imitation of a Salem witch, but by the time they get to the old port the children are really only interested in seeing the birthplaces of Nathaniel Hawthorne and the famous historian William H. Prescott! No tacky witch museums for them ( fortunately there weren’t any tacky witch museums yet, but one get the impression that even if there were, the Bodley family would have abstained). Of course, being children, they are interested in obtaining some of Salem’s famous candy, Gibralters and black-jacks. While in Salem, the Bodleys stay with the family of Mr. Bodley’s college classmate, Mr. Bruce, whose house is full of “antiquities”. He also provides many telling quotes about Salem and its perceived history and culture at the time. He observes that “here in Salem we’re all as old as we can be when we were born” (??? ), that Hawthorne “connects the old and new for us”, and that while the port is “sleepy” now, Salem’s trade to the East was so active back in the day that the eastern “heathen” thought SALEM was a country rather than a city. You can read the entire quotation above; it’s a sentiment that I’ve heard time and time again (minus the heathen characterization), even in the Salem of today.